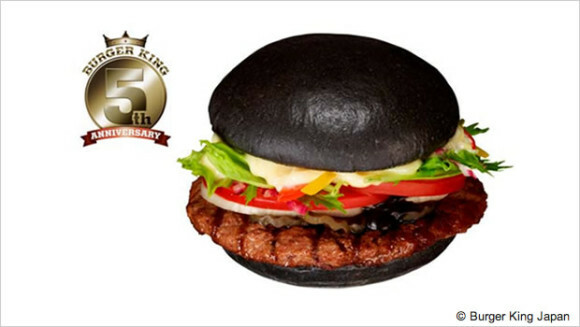 Burger King Japan's hoping that once customers go black, they WILL go back... even after the limited time only “Premium KURO Burger” (黒バーガー in Japanese) has faded into BK history. 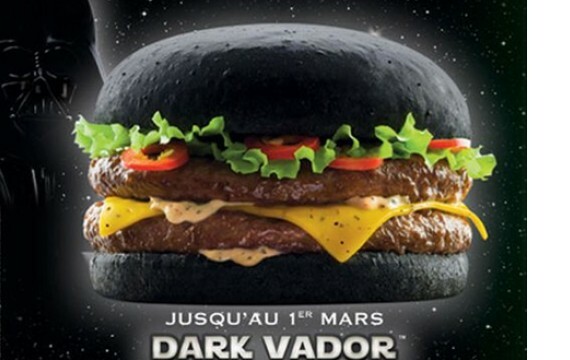 The dark delight was announced via a Burger King Japan press release on September 19th, giving gourmands notice that sales would begin on September 28th – a Friday, as it happens, but not actually Black Friday. 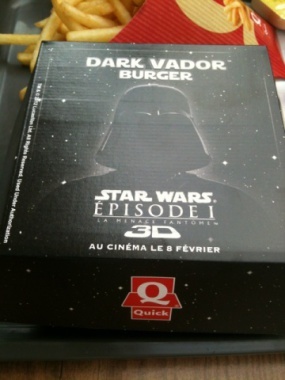 The Premium KURO Burger appears surprisingly similar to the “Dark Vador” double-patty burger peddled by Quick Restaurants in France earlier this year... and yes, there was also a matching “Jedi Burger” for those able to resist surrendering to the dark side of the bun. But back to Japan and the Premium KURO Burger. Priced at 450 yen ($5.65) for the sandwich or 790 yen ($9.85) for a combo set, the Premium KURO Burger is not for the fainthearted. 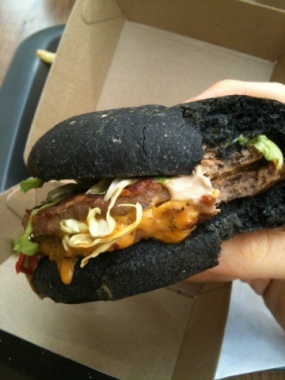 From the top (and bottom), the burger's black buns are blended with bamboo charcoal... blended with, not toasted over. Next comes a 113gm (4oz) paprika-flavored beef patty that's slightly lighter looking than the buns, part of BK's theme of “overturning the entire fast food industry concept.” Alrighty then, on to the toppings: tomato, pickles, onion and lettuce. 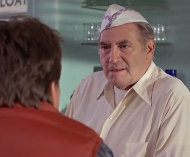 Garnishes include mayonnaise and specially formulated dark tomato ketchup colored and flavored with garlic and squid ink. Squid ink! Yum!